Harvard Worldwide Week event. 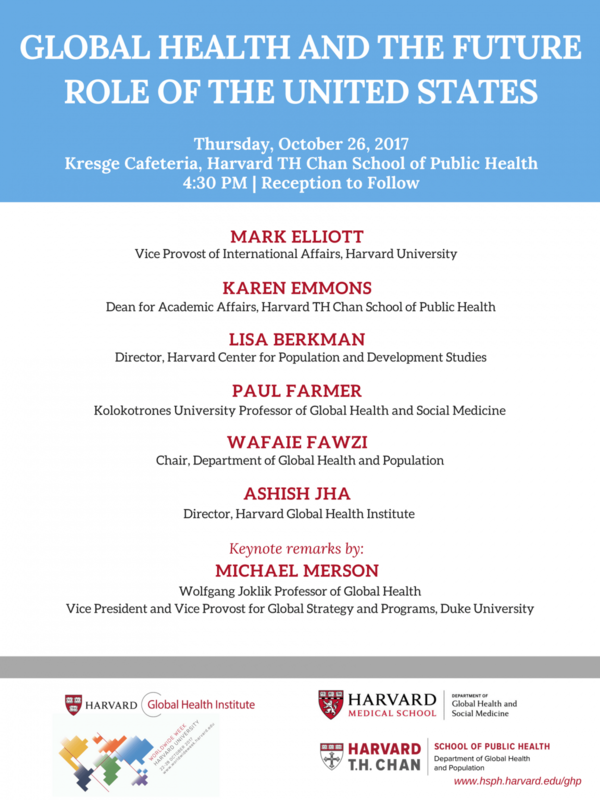 Speakers: Mark Elliot, Karen Emmons, Lisa Berkman, Paul Farmer, Wafaie Fawzi, Ashish Jha. Keynote remarks by: Michael Merson.